^ 會長為二零一六年七月博洛尼亞的總會議所為之會務報告 The relatio on the state of the Order to the General Chapter of Bologna in July 2016 by Brother Bruno Cadoré o.p. Finn, Richard. Dominic and the Order of Preachers. London: Catholic Truth Society. 2016 [2016-02-20]. ISBN 9781784691011. Goergen, Donald J. Saint Dominic: The Story of a Preaching Friar. New York: The Paulist Press. 2016. ISBN 978-08091-4954-4. Hinnebusch, William A. 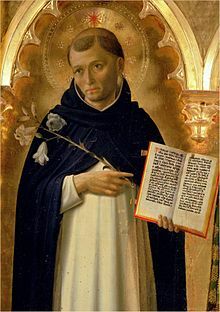 The Dominicans : a short history. New York: Society of St Paul. 1975 [2016-02-20]. ISBN 0818903015. Tugwell, Simon (编). Early Dominicans: selected writings. Classics of Western Spirituality. London: SPCK. 1982. ISBN 0-281-04024-9.